Collaborations are one of our very favorite things about the growing cider industry. Of course, we get the warm and fuzzies to see cider makers working together, though there’s something extra special about cider makers and brewers “crossing the aisle,” if you will, and putting their creative minds to work. There is, as you probably are aware, a bit of an “us vs. them” vibe between a lot of cider fans and beer enthusiasts. So, it’s refreshing and exciting when brands push past those rather irrelevant divisions and see what cool things can happen when it becomes “us and them” together. 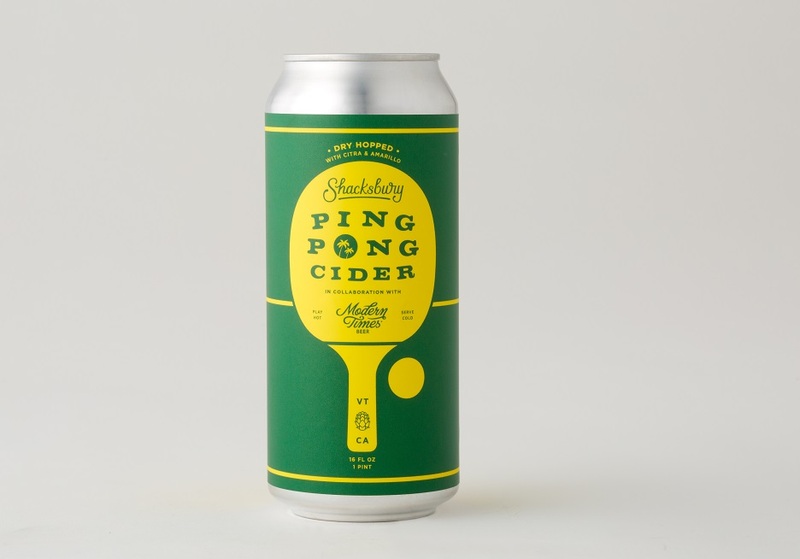 A recent example of this is Shacksbury and Modern Times Beer‘s recent joint effort: Ping Pong Cider. This lil’ beauty came about in January 2018, when Shacksbury sent Modern Times different cider samples to dry hop. Shacksbury’s co-founder, Colin Davis, and partner and resident Cicerone, Luke Schmuecker, visited Modern Times in San Diego, California, and tasted through different options with the brewery’s team. Ultimately, they agreed on using Citra and Amarillo, which are the same hops that Modern Times uses in its Fortunate Islands pale ale. When Shacksbury gave a bottle of the wine to the Modern Times team, they wrote the name “Ping Pong” on the clear glass bottle in permanent marker because it was the wine they drank while playing ping pong. Because Ping Pong isn’t back-sweetened, it’s bone dry and effervescent, with bright and citrusy notes from the Citra and the earthiness from the Amarillo providing some backbone. At 6.5% ABV, Ping Pong will get the party started, while still leaving everyone lucid enough to crush some ping pong, or whatever other activities you’ve got on deck. 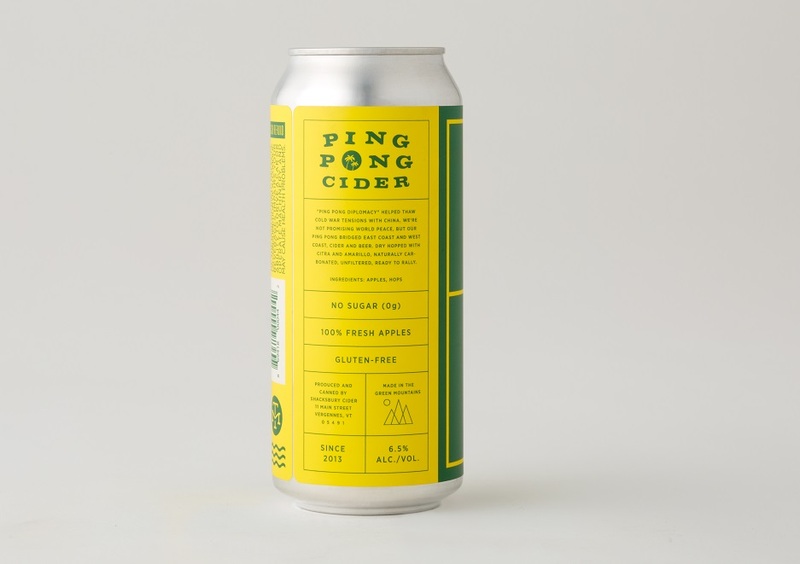 Schmuecker notes that Ping Pong is currently being released into “a couple markets,” and will be available soon at its tasting room in Vergennes, Vermont, as well as in Shacksbury’s online shop. Have you tried Ping Pong? If so, let us know what you think of it!